Interested in learning more about HP's Multi Jet Fusion 3D printing technology? Want to check out the full solution, including post-processing station, as well as the printed prototypes and final parts it produces? Join us for our HP Jet Fusion 4200 Demo Day at our Customer Experience Centre to learn about the latest advancements in additive manufacturing with HP Multi Jet Fusion technology! Learn why this solution is being adopted by organizations across the globe to be used for industrial prototyping and final part production. Select your preferred timeslot between 9:00am and 5:00pm to meet with our Additive Manufacturing Consultants. 9 - 5 doesn't work for you? 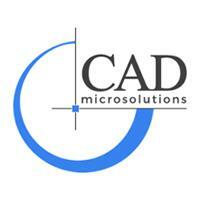 Write in to us at jroberts@cadmicro.com so we can find a day and time that work for you.